I had a list of things I wanted to get done with the platformer I'm building with Phaser before 2016. One of them was to add bosses to the levels. Not like manager bosses. Bosses like the big enemy at the end of the stage. The basics of adding a boss were the same as adding another type of "regular" enemy. I placed the enemy in the level editor, took note of the gid assigned to it by Tiled, and added a setup function to add specialized behavior. I wrote about this process in more detail previously (read those posts here and here). The big addition here is that I want the boss to throw something at the frog. To accomplish this, I decided to use a Phaser Particle Emitter. Phaser's Particle system is very nice. Using an Emitter, you can generate bursts of Sprites easily and with randomized attributes. In my game, I made a level boss dinosaur that throws plates off his tail. Those plates are the particles. The first line creates the Emitter. The first two arguments to the function are the X and Y coordinates of the emitter. I don't have to worry about the real position right now because I'll move it every time I use it to be in the same position as the dinosaur. The third argument is the maximum number of particles this emitter will contain. The second line calls the makeParticles function to actually create the particles that will be emitted. The first argument is the key for the image or spritesheet to use for the particle. The second argument is the frame of the sprite, but I'm using a single image so I just use 0. The third argument is again the number of particles to create. The fourth argument is set to true to enable physics bodies on the particles. 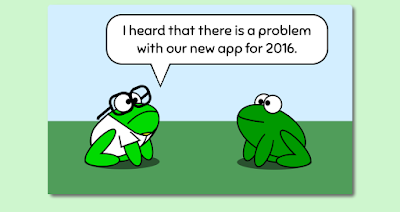 I need this set to true because I want the particles to be able to collide with the frog. The rest of the lines control the properties of the particles tossed out of this emitter. For this boss, I want the things thrown to have less gravity than the rest of the game. This makes them fall slower purely for dramatic effect, and is completely optional. The max and min speed settings define the bounds for the speed of the particles. Phaser will assign a random speed to each particle within these bounds. When the time comes for the boss to attack, it's simple to start the emitter. Like I said above, I re-position the emitter before I start it each time to make it appear as though the particles are actually coming from the dinosaur's position. After that, calling start causes the Emitter to burst out the particles. The first argument to start is true because I want it to emit the maximum number of particles (in this case, 5) all at once. The second argument is the life of the particles in milliseconds. I want them to exist for 2 seconds. The third argument, which I set to null, is the frequency of the emissions. It's not used when the first argument is set to true, so I use null. The last argument is the quantity to emit. I use 5 so all the particles are thrown out. I like it. I hope you like the comic today, and the rest of the comics that will be coming this year.